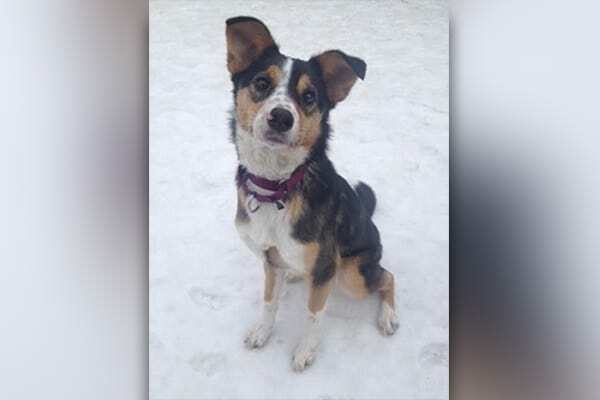 Cali is a sweet, young Border Collie, Australian Cattle Dog mix. Cali came to New Hope because she itchy and losing her coat. After some tests, it was discovered that Cali had a parasite called Demodex that lives nomrally in the hair follicles in all dogs. In some situations the parasite can proliferate and cause problems such as intense itchiness and hair loss. Cali was treated with antibiotics to get rid of some secondary bacterial invaders in her skin because of the parasitic infection. Cali was also treated with an anti-parasitic and put on a hypoallergenic diet because she had allergies. It was not long for Cali’s coat to return to normal! Cali’s skin cleared up beautifully and she is now living in her new adoptive home! Yay Cali!